I think i found it: http://www.broadcom.com/collateral/p...003-PB00-R.pdf or maybe not, this is a Network Processor and not a WLAN. Last edited by hggomes; 05-01-2012 at 11:17. "I got information from sales team that RT-N76U just change the name to RT-N66U ..."
600MHz is good news, hopefully it will actually be clocked at 600MHz and not lower due to stability issues like the RT-N16. It's the SOC (system on chip) with central mips core. so it shows you, just as usual: some different busses and connectors, build in qos and tcam and even 2 VoIP channels. Last edited by hggomes; 23-02-2011 at 12:41. 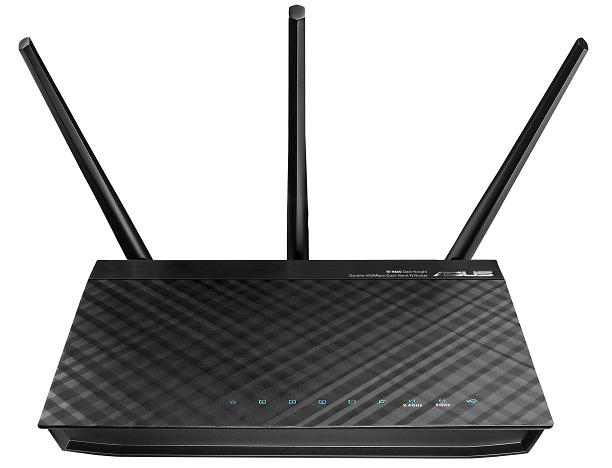 The RT-N66U dual-band wireless router from ASUS brings to the fore a new generation of super-fast connectivity with up to 450Mbps per band simultaneously. ...includes hardware NAT to alleviate overall system load by relieving the CPU of background netcode processing. Last edited by hggomes; 23-03-2011 at 14:45. How about one of those ports used for restraining equipment (name escapes me), so it can't be pinched? Last edited by jalyst; 23-03-2011 at 14:55. Better than the ralink based N56U, which seems to be getting rudimentary support now. I'd still love to know what that port you pointed-out is. Might be a slide switch? or maybe something that has to do with voip?